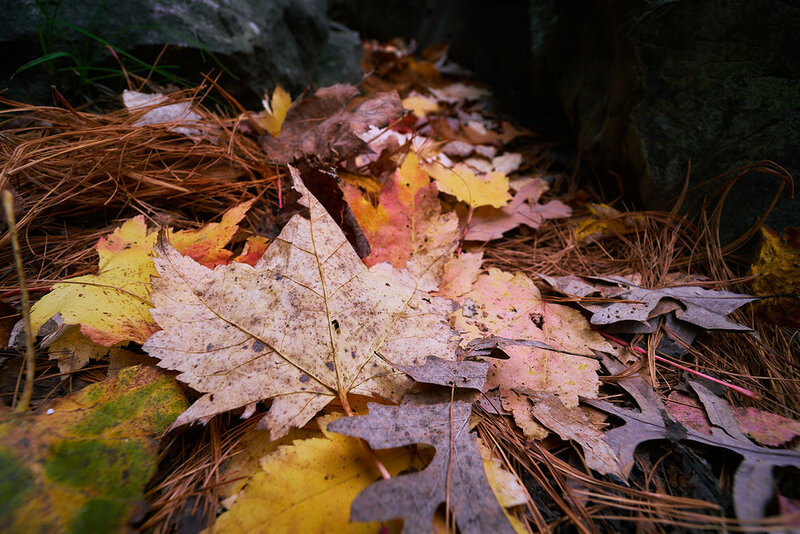 I’ve added a new gallery page to the site, one specifically for Autumn. This gallery contains Fall images that didn’t necessarily fit in with the overall feel of my existing landscape galleries, but I still wanted to share these images, so I placed them here. Going forward, I may duplicate some between the landscape and Autumn galleries; not sure on that strategy yet. Going back to my last post, this is where I think Squarespace has a huge image management weak spot, not being able to have logical collections that pull from existing physical albums…. Anyhoo… I’ve initially made the format on this gallery page a little different than the others, going with a universal square thumbnail format instead of going with the varied dimensions that map to the ratio of each individual image like on my other gallery pages. How do you like this format? Is it better than the other way, or do you prefer how I have it setup for the other galleries? I welcome your thoughts, so please share in the comments. I was able to get up north for some fresh Fall images about a week ago, so will hopefully have some new images from this season coming up on the site soon, depending on when I get time to work on them. Stay tuned! I'm finally getting around to updating my image content in the photo galleries. I realized just recently that I hadn't updated the website in some time, even as I've processed and posted images to other image hosting sites I use (Flickr, Instagram, 500px, etc.). If you look now, you'll already see some new images posted in the galleries, and I'll be posting some more over the next few days. Anyway, just checking in, as I haven't blogged in a while again, and just wanted to let you know to keep checking the galleries, as they are finally getting updated with some fresh content. Lake Superior, seen from one of Oberg Mountain's many scenic overlooks. Back in October I took a quick up the North Shore to get some Fall color photos, the same trip I recently wrote about in this post. That first night, when I shot those nightscapes, I was hiking up on Leveaux Mountain. The following morning I packed up my camp over by Leveaux, hiked back down to my car in the parking lot and dropped off my pack, then walked across the road to hit the trail that goes up and around Oberg Mountain. Leveaux Mountain, seen from overlook on Oberg Mountain. Oberg Lake, seen from Oberg Mountain. As you can see, the views were great all around, no matter which direction you looked. This is probably one of the most popular Autumn hikes along the North Shore, so you won't exactly be alone if you choose to hike this trail during peak colors, but at the same time, I never felt crowded either. Some people would come and go while I was stopped at the scenic overlooks, but then when I got hiking again, I was usually alone as I set my own pace and just carried on. This is a trail I'd highly recommend if you want to see some of the best views and colors northern MN has to offer in the Fall. I'll probably go again next year, this time with the family in tow. p.s. 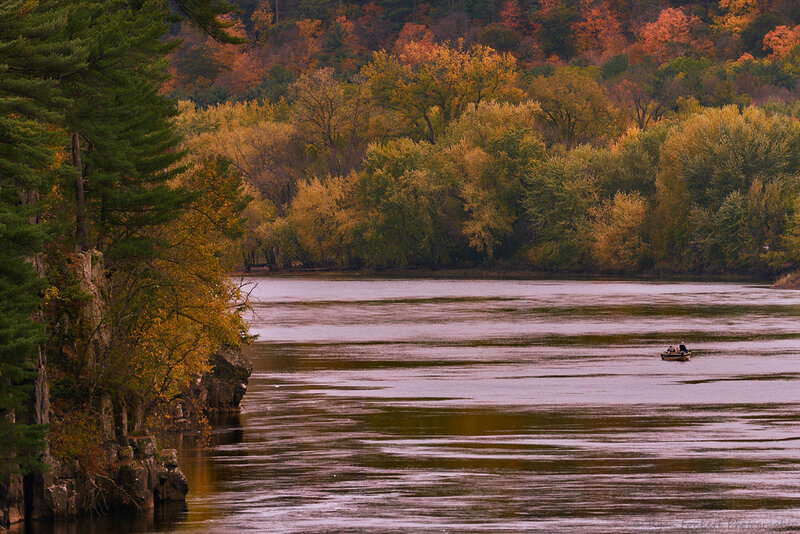 photos can also be viewed in my Minnesota Landscapes gallery. These two photos I shot up on the North Shore while up on a photo/hiking trip up there back in October. I had taken a quick weekend excursion up there for a couple of reasons: to get some good Fall color photos, and to finally shoot the Northern Lights! The Northern Lights activity up north had been pretty heavy that week, I was seeing cool pictures of them taken by other photographers all over Instagram, Flickr, etc., and I finally wanted to get some for myself! Of course, amidst a wee of heavy aurora activity, this would end up being the one night there would be no visible light activity, at least not from where I was stationed, which was at Leveaux Mountain (in the Sawtooth Mountains outside Tofte, MN). Naturally, the activity picked up again a night or two later, though! D'oh! Nevertheless, I was still able to capitalize on the situation and just get some fun Milky Way shots instead. As I mentioned in the previous paragraph, I was staying at Leveaux Mountain, which is directly across the road from Oberg Mountain, where I planned to hike the following day to get my Fall colors photos. I camped at a backpacker campground just off the Superior Hiking Trail, only about a 1/2 mile in from the parking lot between Leveaux and Oberg. Also staying at that campground was a group of young women that were thru-hiking a few sections of the SHT; had hiked over from Tettegouche State Park a bit earlier in the day. It was nice to have a little company and people to converse with - always fun to meet new people out on the trail. To get my intended night shots that night, I hiked up to the top of Leveaux Mountain from camp. It wasn't an incredibly long hike to the top from camp (Minnesota "mountains" aren't exactly huge :) ), but I really had to watch my footing, as several sections of the trail are very rooty/rocky, and I was going up in the dark. The first shot above, "Milky Way Over Lake Superior from Leveaux Mountain", was taken from near the summit of the mountain, on a little rock outcropping just off the trail, facing out towards the little town of Tofte along the shore, which is what you see as the lights along the shore in this image. It was a beautiful spot. Long-exposure photographs like these draw out more detail in the Milky Way then one can see with their naked eye, and I obviously drew out the color a little more definitively in post, but I could actually see the Milky Way pretty clearly with my own eyes. Even with the bit of light pollution coming from the little towns up there, the skies overall are pretty dark, allowing one to get some great night photos. I played around with some other compositions up there, too, that didn't include the town or lake, but this one ended up being my favorite, showing how lucky people up there are to live in such a beautiful place. The second shot above, "Bridge to the Stars", I shot while on my way back down to camp. I was down off the mountain, and was hanging out on this bridge over the Onion River a bit before heading back to camp, just enjoying the sights and sounds of the river at night. As I started to leave, I looked back and noticed that I could see a bit of the Milky Way through the opening in the trees, so I decided to get some more images. For this image, I set the tripod really low to the ground to get as much of the bridge in as possible, and I lit the bridge with a little pocket LED light that I had along. It was actually a pocket USB charger (for charging devices on the go) that has a little single LED bulb on it so it can double as an emergency flashlight, but that little bulb was enough to light the bridge as needed over the long exposure. I snapped a few shots, and would pass over the bridge and tree branch with one or two passes of the light before shutting it off. It worked pretty well! That light wouldn't have worked if I was trying to light an object 50 yards away, but was just fine for lighting the objects right in front of me. Always try to make due with whatever you've got with you! For those interested in gear, I shot both these images with a Sony A7S and Sony/Zeiss 16-35mm f/4 lens. I'm liking this camera for night work, as I can easily shoot at ISO 6400 and get pretty much zero noise in the shadows, and the dynamic range it provides is really good. I hope you enjoy, and I'll write another post with my Fall colors images from this trip soon. The images in this post can also be seen in my Nightscapes gallery.